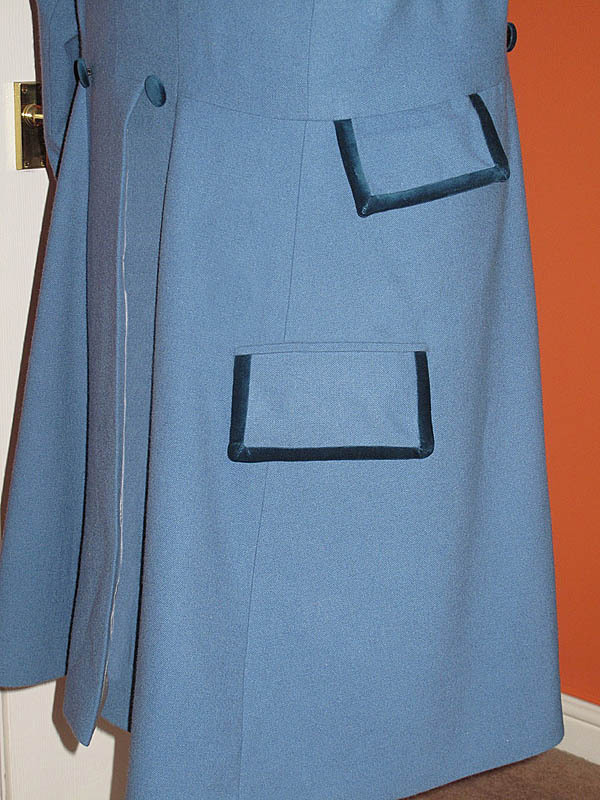 Making My 4th Doctor Costume: Romana Frock Coat (blue version) finished! 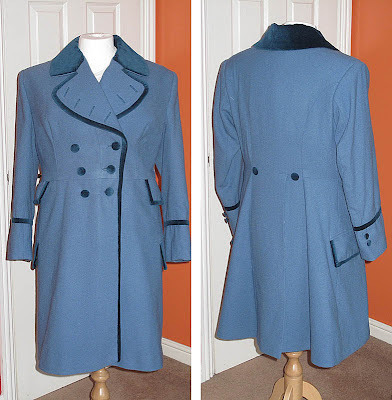 Romana Frock Coat (blue version) finished! I’ve been working so hard on this Romana Fock Coat, I clean forgot to take anymore pictures of it being made! Sorry. But what I have for you today is the finished thing, all sewn and ready to wear! The lapel buttonholes are for show only, and are not cut though. 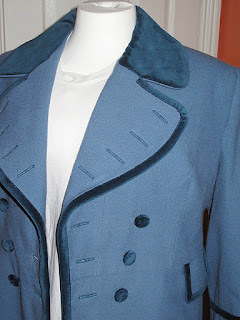 This is how the original coat was. The buttons were specially made using the same velvet as the collar and trim. The coat is designed to be double breasted and it has been cut to work properly in that regard. The outer pockets are as the original coat, with one in the waist-seam on each side, and a larger pocket below. What I have done though is make the waist-seam pocket real! On the original coat the flap is just for show - it has no practical pocket underneath it. I couldn’t make it too deep as the opening is quite narrow. It would serve well as somewhere to keep a mobile phone! Finally, here is the lucky recipient of the finished coat!